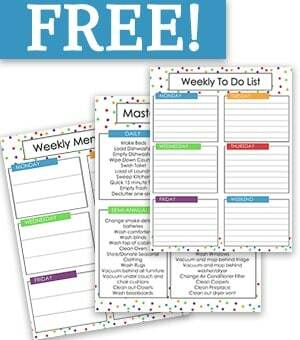 May is here and the time for graduation parties! 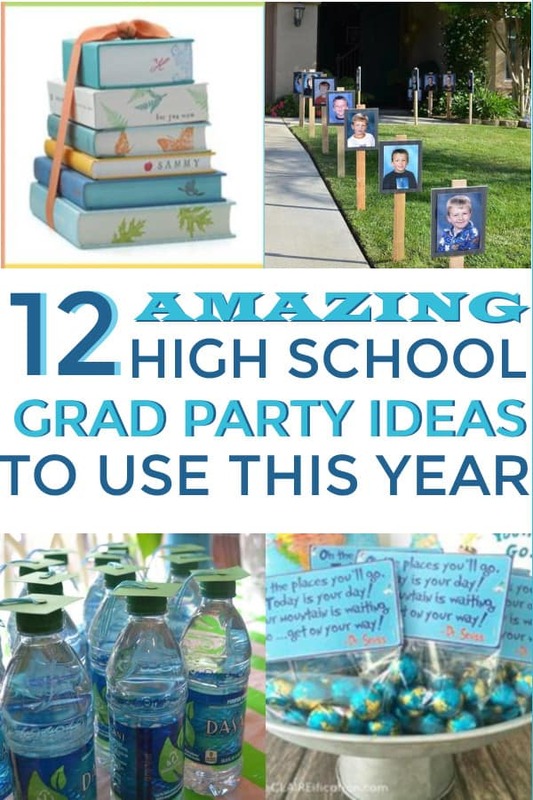 I have put together a wonderful list of graduation party ideas that you will love and so will your graduate. 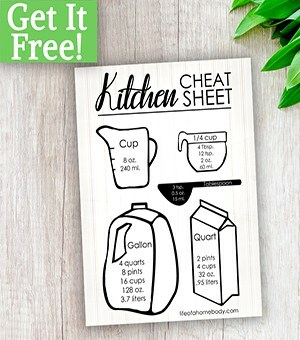 There is everything from centerpieces to memory jars and party favors! I couldn’t wait to share them all with you! I did this for my son’s graduation and it was a big hit. 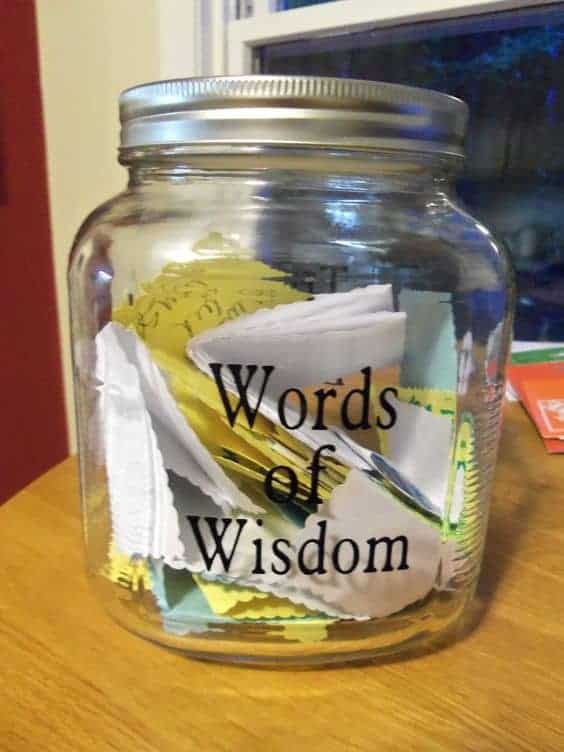 I took sticker letters and made the words “Words of Wisdom” and left index cards and pens nearby. Everyone wrote well wishes and words of wisdom for him to live by. He kept his cards as a keepsake. 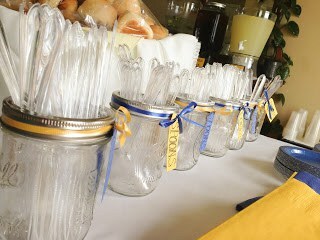 I loved the ribbon and labels on the silverware jars. Silverware can be left as boring or made to pop with just a few pieces of ribbon! 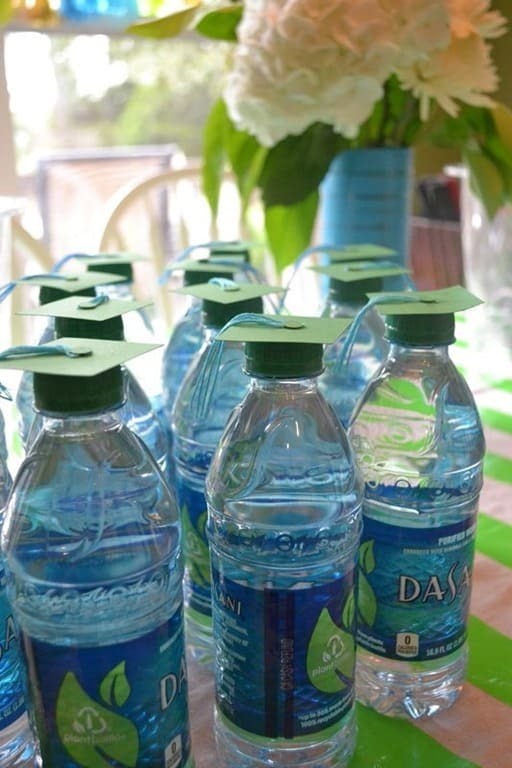 I love these water bottles, how cute and clever!! 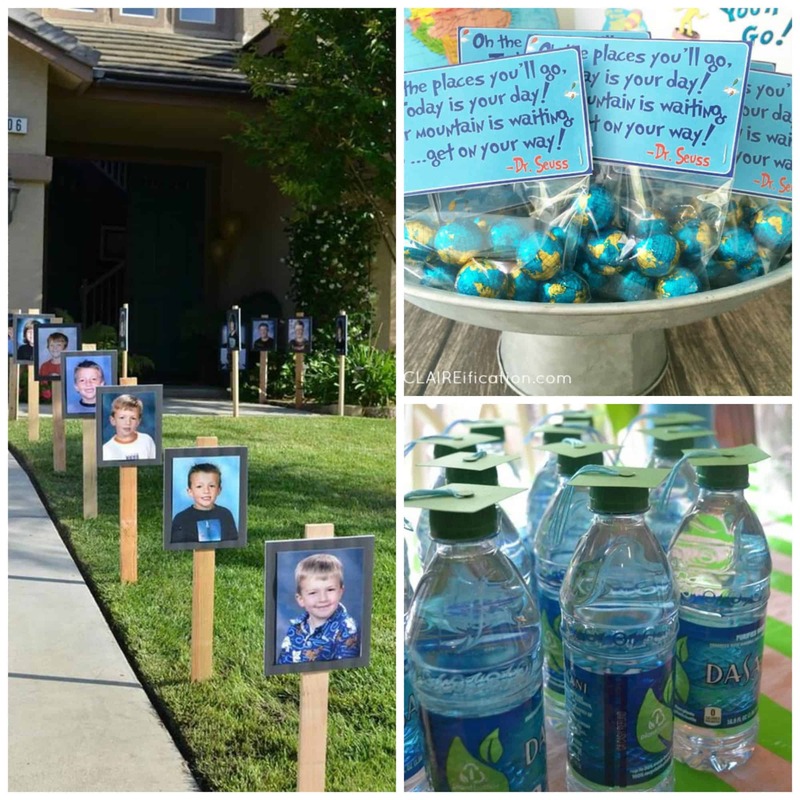 Making numbers out of their graduation year or the letter of your child’s name with school pictures is a great conversation piece at your party. 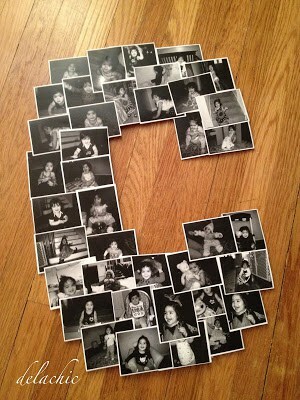 How cute this idea is! 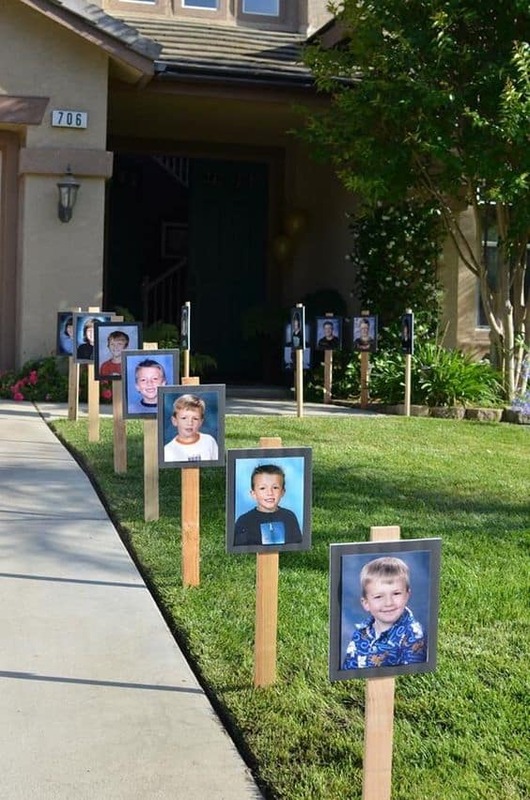 School pics of your child growing up on sticks leading up to your house or graduation event. If you are looking for a beautiful centerpiece for your graduation party this one is for you! 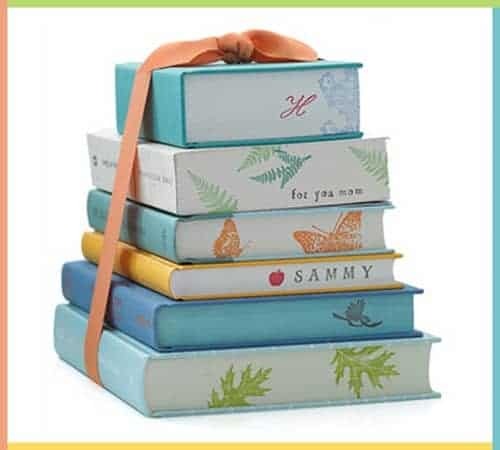 I ‘m a book lover so I really love this one! 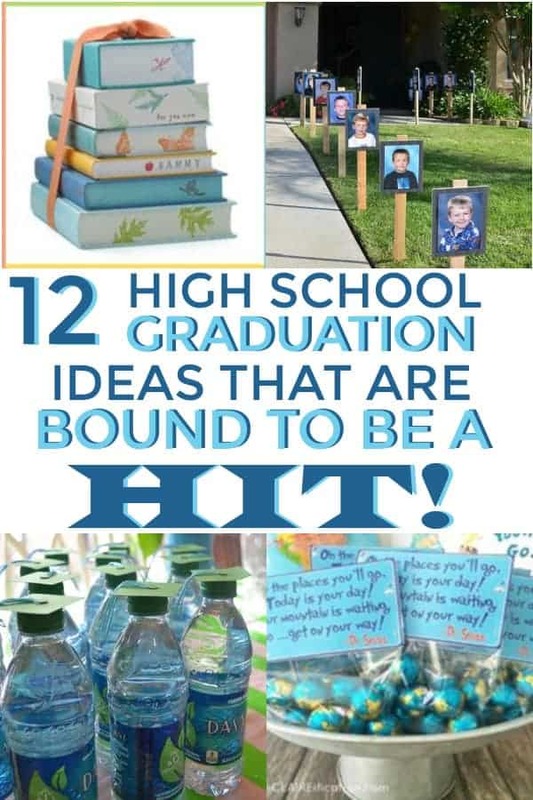 What a fun menu for a graduation party! 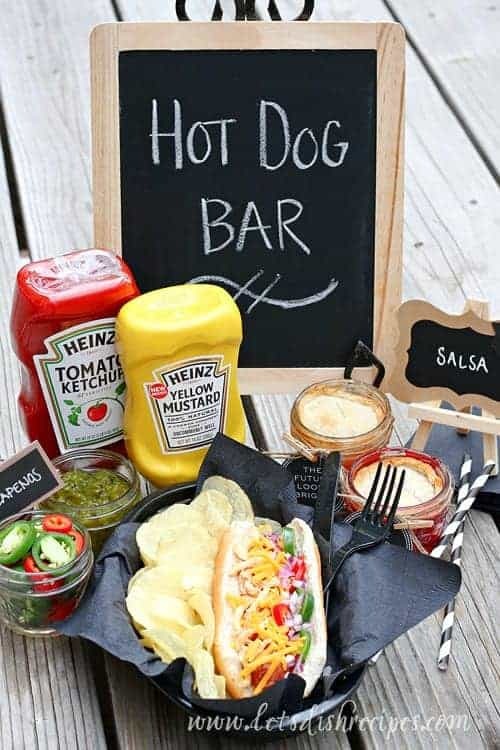 A hot dog bar and pies in mini mason jars. 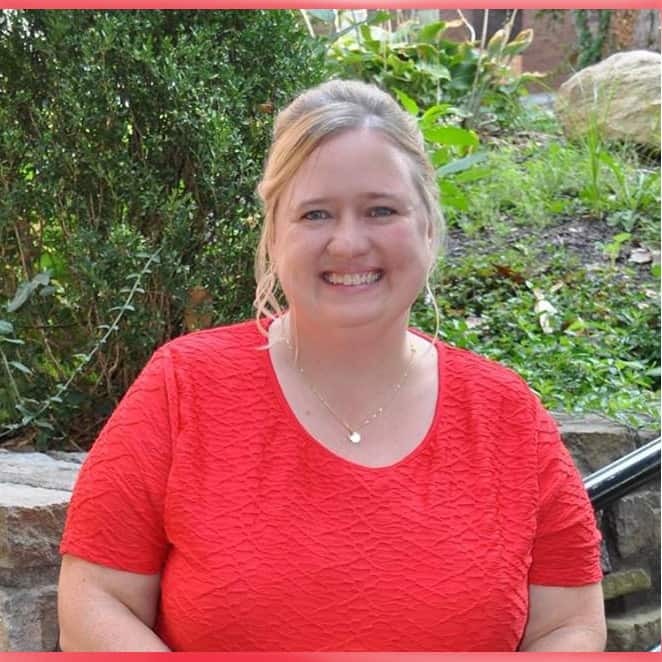 She has some other wonderful graduation ideas also so be sure to check out her post! 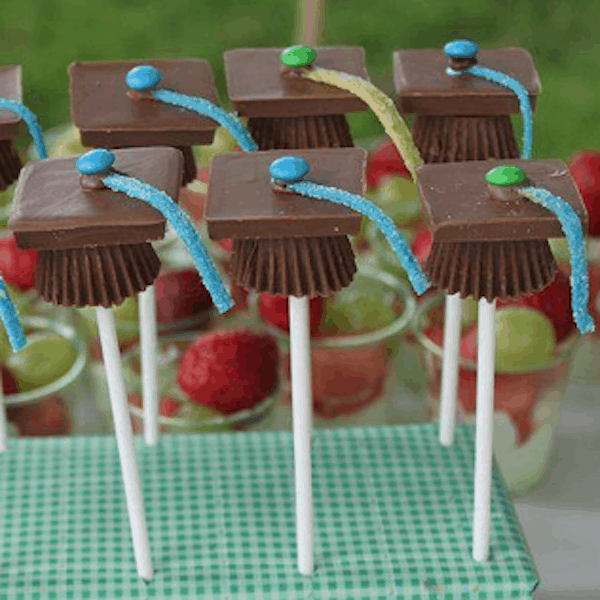 The perfect cake pop for graduation! These are darling! 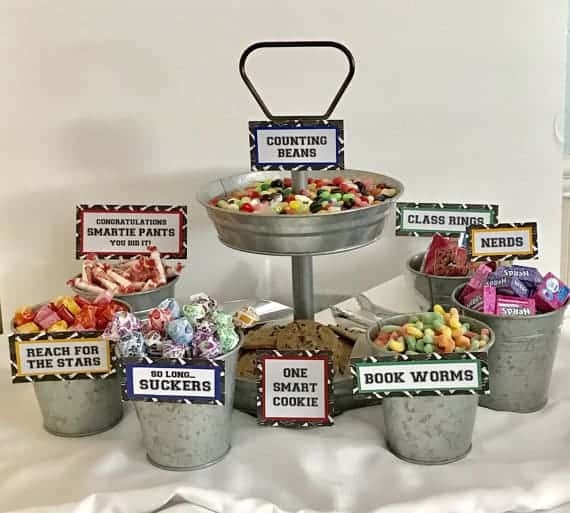 This is an adorable set you can buy-it includes graduation candy signs, candy bar sign, candy sign, graduation party, Party Favors, Candy Bar and Candy Buffet Sign. This idea was actually for a wedding but would be perfect for graduation also. 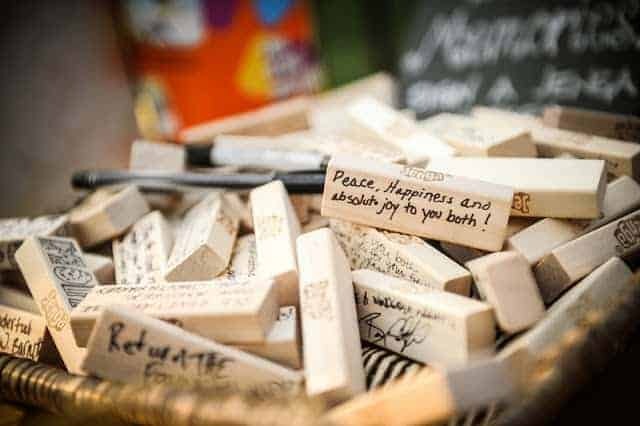 Take the game Jenga and let your guests write well wishes on the pieces of the game. Then the graduate will have his/her first game for his dorm or apartment. I love this so much! 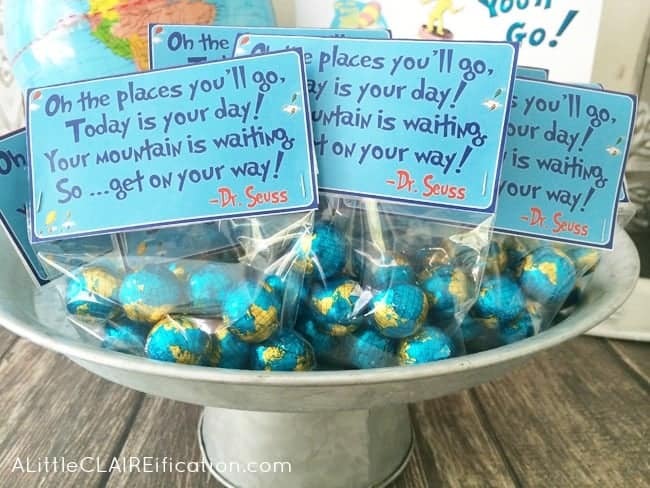 I’m a huge Dr. Seuss fan and this theme is just perfect for the graduate in your life! So so adorable. 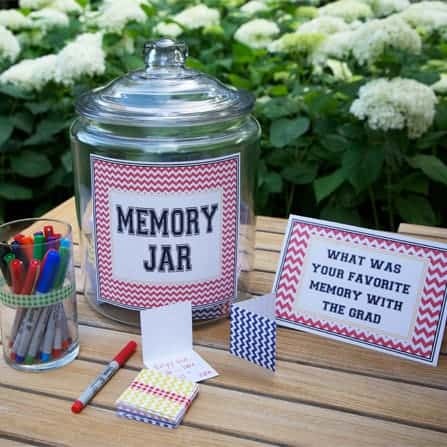 A memory jar where your guests can write down their favorite memory of the graduate! 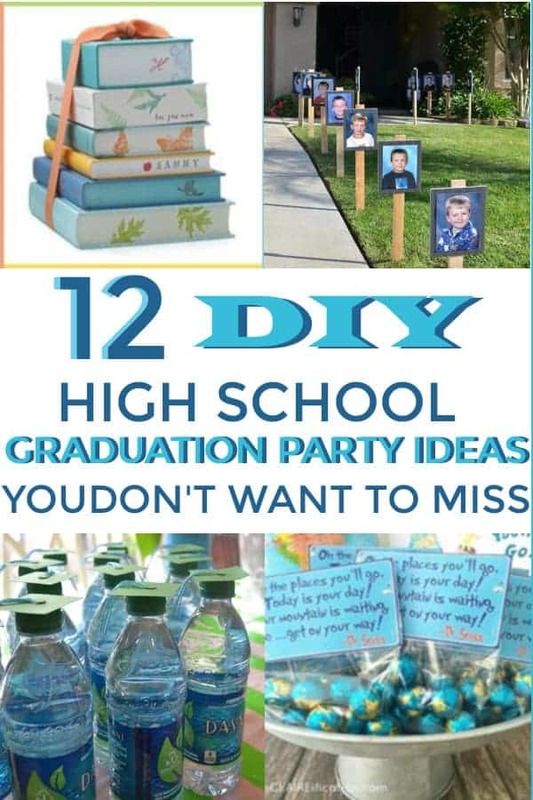 I hope you enjoyed all of these graduation party ideas! Have a wonderful time celebrating your graduate!